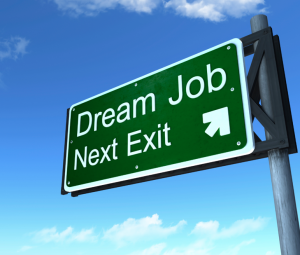 Home » Blog » What Mistakes Hold College Students from Getting Their Dream Jobs? What Mistakes Hold College Students from Getting Their Dream Jobs? I love Nelson Mandela’s quote, “It always seems impossible, until it is done.” Well, students getting their dream job right after college may seem impossible and impractical to many. Yet, it is happening. Forbes August 2011 issue highlighted All-Star Student Entrepreneurs that had developed their ideas while being students. We all also know the famous stories of Steve Jobs, Bill Gates and Mark Zuckerburg dropping out of college to pursue their ideas. In fact, there is even an entire list on Wikipedia of college dropout billionaires. Not every student wants to be an entrepreneur or drop out of college, many may want to serve as doctors, teachers or other fine professions. So what holds college students back from getting their dream jobs? I believe it is three types of mistakes that limit college students and graduates from success. First, is that there is a lack of self-awareness in what they themselves want and who they are. Next, many lack courage to take a different route, to take a risk and to do something different from what people expect them to do. Lastly, many students just don’t have the mentorship to pursue what they want. In the following, we will explore all three of these mistakes. 1. Lacking Self-Awareness− Many students have never asked themselves, “What would be my dream job?” For many, the idea of loving what they do and making money are two worlds that never touch. In order to ponder on what a dream job would be, a person must consciously know what they enjoy doing and what they love. Then, they must look to see what is available in the market and recognize that if there is a need for something, then they can create a job to serve that purpose. Lastly within self-awareness, students must be conscious of what skills they have and what skills they need to develop for their dream jobs. 2. Lacking Courage− Students today are more stressed than ever before. There are more people that are looking at their successes and failures than ever before. The environment that exists around most students breeds complacency and an illusion of success. This type of illusion makes a student want to get an entry-level job directly linked to their major or find the job with the most money. They may even want to go to grad school because of other people’s pressures, not their own drive to learn. It requires great courage to pursue an opportunity that is different from the norm and is different from what one had originally planned. Students must be willing to use their heart and their mind in making decisions as well as define success for themselves. 3. Lacking Mentorship− Gallup released a study recently stating that eight in 10 college graduates lacked a mentor who encouraged the students goals and dreams. Without mentorship, it is quite easy to go through the required courses, graduate and find a job without ever thinking about a dream job. Even mentors that may guide a student may be too focused on a career or industry to provide a broader picture to guide students in creating a successful life. A great mentor can provide a priceless experience that encourages students as well as shares real meaningful feedback to make changes in a student’s outlook. Waiting for it to just happen or applying to any job with expectations that it will be like a dream, is a fallacy that too many students experience. I can say this because I was one them. Seeing this need for students, I have developed a framework to guide students from these mistakes. It is called the BASE model. BASE stands for Belief, Alignment, Skills and Experiences. Belief is what you hold to be true about yourself and your abilities. Alignment is making sure that your goals and activities are in line with what you really want. Skills stands for skills that you have developed or are developing. Experiences refers to your experiences that are aligned with your pursuit. The BASE model and much more can be seen in the Success That Matters presentation. Find more practical tips here. ← What If There Was Music in Every Class?